Carrying around a charging cable is a fact of life if you use your smartphone for more than just the occasional call. 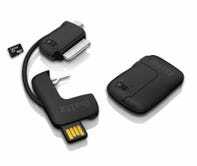 But instead of packing the bulky cables that came with your iPhone or Android handset, just slip this tiny USB adapter onto your keychain for emergency battery top-offs. In addition to a 30-pin dock connector for the iPhone, the iBattz also includes a microUSB adapter for charging most Android handsets from a laptop or a PC. 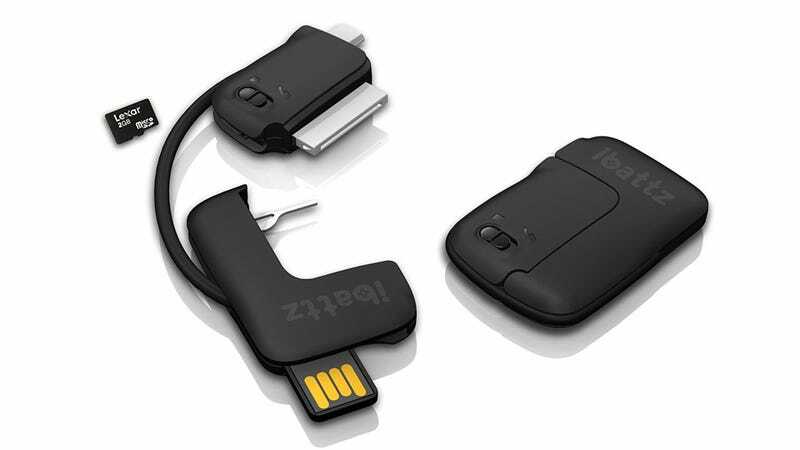 It's also got a microSD slot turning it into a miniature card reader or external storage device. And last but not least, a pop-out pin for removing the iPhone's SIM card tray. More than enough functionality to justify its $30 price tag, particularly the first time it saves you from a deceased battery.